It’s time to say goodbye to Burberry‘s diffusion lines. Burberry’s creative creative Christopher Bailey announced at a press conference that took place in London, November 3, that all of the company’s diffusion lines, namely Burberry London (focusing on the workwear), Burberry Pit (focusing on the weekend-wear) and Burberry Prorsum (the runway collection) will soon fold	into Burberry’s main line by the end of 2016. It is definitely an interesting move for Burberry, whose diffusion lines have been so far a highly-profitable vehicle for the label thanks to their more affordable prices. 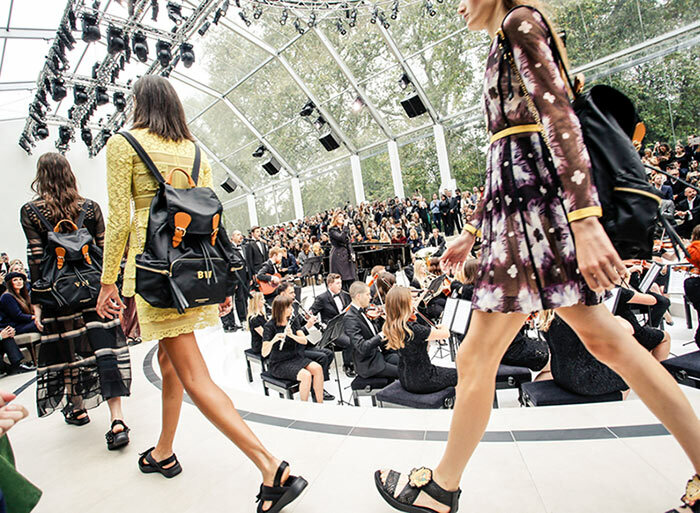 Burberry’s Prorsum collection will thus rule over the other diffusion lines, albeit deprived from its original name. Still, such a turnaround should not be shocking at all. In fact, although diffusion collections have been the rage in the fashion industry for the last decade, and used to be regarded as indispensable vehicles for luxury brands such as Burberry, Dolce & Gabbana and Prada in order to increase product sales, it is becoming less and less the case. It all started off when Dolce & Gabbana’s diffusion line, D&G was folded into the brand’s main line back in 2011 (even if it was generating hundreds of millions in revenues). Since then, many other brands such as Victoria Beckham and DKNY have been following in the Italian fashion house’s footsteps. Last but not least, Marc by Marc Jacobs also followed a similar path, being folded into the main Marc Jacobs line (releasing its last capsule collection less than a week ago). To make things even more appealing, Christopher Bailey announced some more exciting news during Tuesday’s press conference. He revealed that Burberry is about to invest a whopping ¬¨¬®¬¨¬£50 million (circa $77 million) in a new Leeds-based factory (in Yorkshire, England), which will be in charge of producing the label’s legendary trench coats. The factory, which is set to be available optimistically for 2019, will definitely help bring new jobs to the area, as well as bring more prestige to the label itself. Burberry’s about-face may also help the label focus more on its haute couture origins, giving us some new spectacular fashion shows. At the same time, it may also lead the luxury house to give its access to a younger audience thanks to some fashionable high-street collections, which seem to be the new main trend (just think about Balmain’s recent collaboration with H&M). It’s definitely a new era for the fashion industry, and we just have to wait to see what happens next.